Don’t worry if this is your condition. 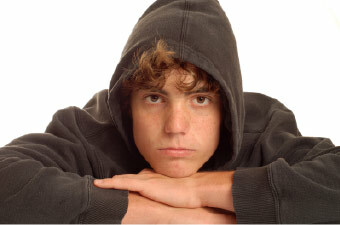 This article will help you put an end to it. 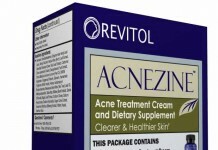 As an acne sufferer that’s all you want to achieve: clear skin without the constant worry of blackheads and pimples. Is it too much to ask for? Certainly not, but it isn’t something that is easy to achieve. 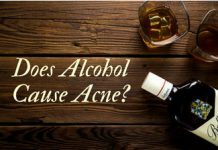 There are so many different causes of acne that first of all it can take some time to fully identify what your personal circumstances are, before you can come up with a good prevention plan. But dealing with the causes is very different to dealing with the actual blackheads. 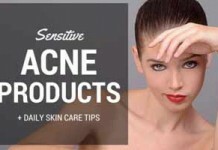 To do this you need to first be able to identify exactly what the blackheads look like and what’s going on in your skin. 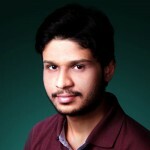 Then you’re in a much better position to act with the use of some excellent products as well as natural home remedies. And that’s exactly what we bring you on this page. You’ll find out what the by far most effective blackhead removal product is. And for some natural treatments using home remedies, we’ve added some simple to follow instructions. And a precise checklist for their prevention. What Are Blackheads? How Do You Accurately Identify Them? There isn’t any significant difference between a blackhead and a whitehead; they both are a gathered amount of sebum and skin bacteria that clog the pores of your skin. Although, unlike whiteheads, blackheads are more exposed to the surface, which is why the material inside them becomes oxidized and provides it with an overall black appearance, hence why it is called a blackhead. 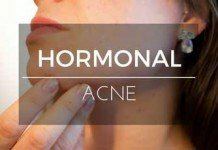 According to dermatologists, blackheads are considered to be the earliest stage of acne, which, if not controlled immediately, can turn into an even worse situation through the formation of pimples or even cysts at the end. Therefore, it’s always good to treat blackheads right away to avoid an even more severe situation. The main cause behind the outbreak of blackheads is pore clogging. There are a few things that can clog your skin’s pores. The overproduction of sebum (skin oil) and the unnecessary buildup of sweat on your skin are the leading abetters of this offense. 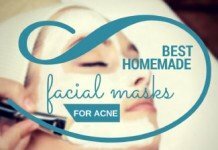 Therefore, avoiding these things from happening can put certain obstacle in the way of blackheads’ occurrence. Now let’s move on to learning how to get rid of blackheads. 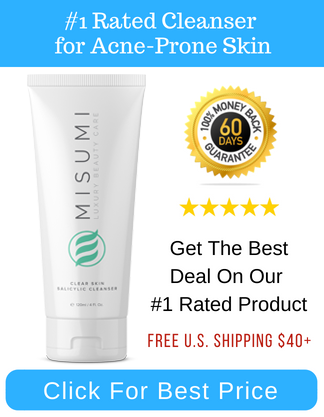 The best product we’ve encountered for getting rid of stubborn blackheads and preventing them from developing into worse forms of acne is Misumi’s AHA 10% Skin Perfecting Cleanser. This exfoliating cleanser uses Glycolic Acid 10% to remove excess oil, sweat, impurities, and dead skin cells that end up clogging your pores and causing blackheads. Glycolic Acid is one of the most effective exfoliators out there. The small size of its molecules allows it to penetrate deeply into the skin to unclog and tighten pores. It also helps to regulate oil production and reduce skin oiliness. This cleanser will remove the damaged skin cells at the top to reveal brighter, healthier, and younger-looking skin underneath. 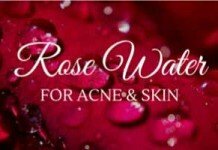 For all those ladies and gentlemen aged 20+, you’ll be glad to hear the added bonus of the cleanser is to smooth out fine lines and wrinkles and restore youthful and radiant skin. Pro Tip: For optimal results, pair Skin Perfecting Cleanser with Misumi Pore Purifying Toner. The two work amazingly together to unclog pores and treat blackheads. The toner is especially recommended on individuals with oily skin or those who have an active routine (works out often). Now, you might wonder: why should I only consider home remedies to get rid of blackheads? 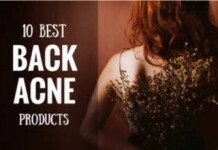 Well… that’s mainly because I told you earlier that blackheads are the very first stage of acne. 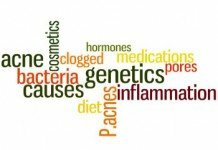 Having said that, the treatments you need to get rid of them don’t have to be intense either. It’s always better to try home remedies first and see if they work out. If they work out, great! And if they don’t, move on. That’s it. But if you use them with persistence, it’s more likely that they’ll work. They won’t sweep your pocket out, they won’t cause side-effects, and they won’t piss you off at the end (if used patiently). Making use of baking soda is by far the best home remedy when it comes to treating blackheads. And the best part is that Emma Stone loves it. Baking soda (aka sodium bicarbonate) falls under the category of physical exfoliants, and what makes it especially effective is that it is a fine, yet hard powder, making it highly effective at removing the dead skin cells without causing excessive irritation. — Beautybrains. Can’t wait to try it yourself? Here’s how to do it. Dampen your face or any other area where you get blackheads with warm water. Apply baking soda to those areas and gently massage it with circular motions for about 30 seconds. Doing this consistently for a few weeks will clear away your blackheads! You’ve probably heard of this before as it’s a common blackhead removing treatment, and quite effective as well. A few pore strips. Preferably, these ones from Biore. A bowl filled with water. And any one of these herbs to make it more effective: rosemary, lavender, or chamomile. Put the any one of these herbs in the water filled bowl and boil it. Once you’ve done that, place your face over this bowl at a distance where you can take it’s steam while not letting your face be burned at the same time. The steam will unclog your pores, and the presence of herbs in this steam will provide your skin with a natural soothing effect. Once your pores are unclogged, it’s time to remove blackheads. And you’re going to use pore strips for doing this job. Apply these strips one on your affected areas and leave it for about 15-20 minutes to get settled. Afterward, gently swipe them off and you’ll see all the blackheads and dead skin cells sticking on these strips. Viola! Your blackheads are NO MORE! Egg white masks can be very effective in getting rid of blackheads when used with the procedure outlined here. Few tablespoons of lemon juice. Separate yolk from the egg, only keeping the egg white. Add two tablespoons of lemon juice in it. Beat this mixture vigorously until it becomes foamy. By now, your mask has been made. Now apply this mask over your affected areas and let it dry for at least 20 minutes. Afterward, rinse your face with warm water. 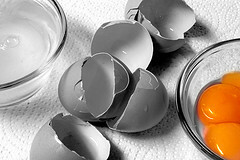 The egg white contains a lot of proteins that help nourish the skin. On the other hand, the lemon juice in this mask will provide your skin with a natural cleansing and exfoliating effect. This is a very simple but effective home remedy to get rid of blackheads that makes use of the natural properties of honey. Honey is an antibacterial, antioxidant, and complexion boosting agent. It not only soothes and moisturizes your skin, but it also can be very effective in treating and prevent mild acne. A small jar full of raw honey. Scoop out the raw honey onto the palm of your hand. Rub your hands to spread the honey into your hands and warm it up. Now apply the honey by GENTLY rubbing it on your face, and let it settle on your skin for about 20 minutes. Make sure you’ve applied it evenly on your skin. Now take a soft cloth dampened under warm water, and use it to swipe away the honey from your face. 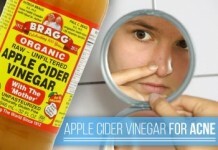 It’s by far one of the best ways of getting rid of blackheads without wiping out your pocket. Apple cider vinegar (ACV) has an endless stream of benefits, covering weight loss, hair loss, and most importantly, skincare. One tablespoon of cosmetic clay. Mix the clay with apple cider vinegar to make a paste without lumps. Now apply this paste over your affected areas and allow it to become settled for about 15-20 minutes. Afterward, rinse your face gently with warm water. 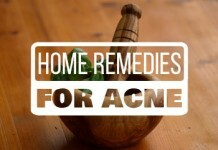 It certainly IS a controversial tip, when it comes to learning how to get rid of blackheads. Besides the fact that doesn’t work for everyone, it’s a fact is that it HAS worked for a number of people. A towel dampened under warm water. Pat your face with this towel to open up your skin pores, or simply rinse your face with warm water to do this job. The point is that your pores should be opened before applying Elmer’s glue onto it. Once you’ve done that, apply the glue evenly on your affected areas. Leave it for a while until the it becomes completely dried and then peel off this layer of glue gently from your skin. The layer of the glue should be slightly thick so that it would be easier for you to peel it off after it has dried. 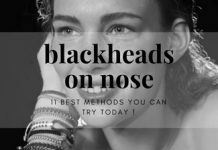 Yet another simple, efficient, and cost-effective method to get rid of blackheads – right in the convenience of your home. There a number of ways to use tomatoes as a tool to get rid of blackheads, but I’ll outline only the simplest and the most effective one. Chop the tomato and make a paste of it so that it can be applied to your affected areas. Prior to applying this paste, you would need to wash out your face with warm water and pat dry. Once you’ve done that, apply the tomato paste to your affected areas and leave it for about 20 minutes before you rinse your face with cold water. 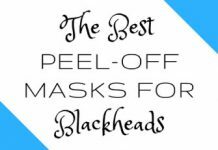 Now we’ll move on to discussing some worthwhile tips to prevent blackheads. Without taking this information in your knowledge and practice, your exhausting journey toward a lasting, blackhead-free skin will NOT come to an end. 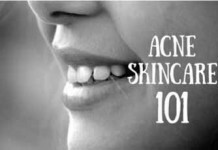 The following are the most prominent factors that should be given firm consideration if you want to prevent blackheads or acne in general. 1. Would You Mind Changing Your Bedsheets and Pillow Case Weekly? If not, then please do it. The reason why I’m urging you to do this is that your skin is in constant contact with your bedsheets and pillow case all night long. And if any of these aren’t properly cleaned, then their dirt can pass onto your skin, causing irritation as a result. One’s thing’s for sure here, dirt does NOT cause blackheads, but the irritation it can potentially produce can aggravate the condition, for sure. 2. Do You Make This Mistake When Buying Cosmetic Products? 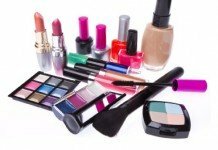 Do you check the oil free or non-comedogenic label on all the cosmetic products you buy? If not, then be careful from now. 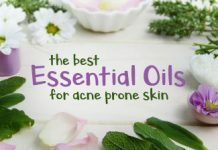 Cosmetic products that aren’t labeled “oil-free” are considered to be an undeniable cause behind the clogging of your skin pores, and it causes something that is named cosmetic acne. Make sure to not repeat this mistake from now. Only buy “oil free” products if you want to prevent blackheads. 3. Do You Perspire A Lot? If yes, then make sure you don’t let it build-up excessively on your skin as this clogs your skin pores. Therefore, washing your face or taking a shower is important after a workout or a day out in the sun. 4. Do You Habitually Use A Mild Cleanser Daily? If not, then you should preferably make a habit of doing so. Washing your face two to three times a day with a gentle cleanser like Cetaphil or Purpose by J&J at local pharmacies, can help your skin stay clear of blackheads. 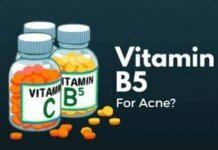 Now we finally reach the end of this comprehensive discussion on how to get rid of blackheads effectively and prevent them from breaking out in the future. To recap, we learned what they actually are, how they are caused, and the best ways of treating and preventing blackheads. 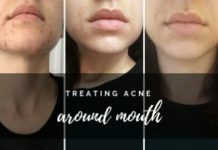 The reason why I’ve only outlined natural ways to get rid of blackheads in this post is that they are the very first stage of acne. And being a relatively mild condition, they tend to respond positively to home remedies most of the time. 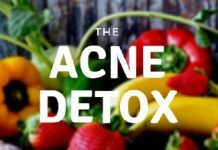 However, if these remedies don’t work out for you, then you definitely can move on to trying other methods to get rid of blackheads. But as I said earlier, being persistent while going through these treatments is the key.